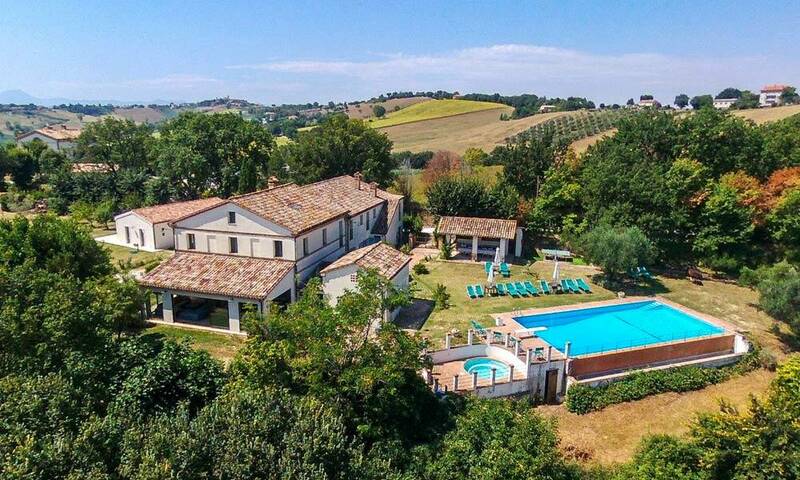 In the very heart of region Marche, a short distance from the village of Staffolo, a beautiful and elegant farmhouse perfectly rebuilt in 2009 is waiting for a new family. The renovation was carried out scrupulously and attentive to the smallest details: the final result is a classy refurbishment, which took care of retaining the old traditional features as well as of comforts and quality of the materials used. The farmhouse measures about 260 sq.m. and develops on 2 floors with a very large and bright living area on the ground floor: the first and large living room features a spectacular fireplace built in Istrian stone. The second one is used as a TV area and from here you access the dining area with an additional fireplace and a large kitchen. On the same floor there is a small bathroom for guests and a bright and spacious entrance. The first floor is characterized by a wonderful staircase made of reused and restored materials from ancient noble palaces including the doors. On this floor there are 4 spacious and bright bedrooms and 2 bathrooms, as well as a small relax room. All the materials used are of high quality such as antique terracotta tiles, oak beams, BIO wall painting, shutters and railings from old monasteries, Tibetan furniture and antique furniture from the 18th century give the farmhouse a truly unique and suggestive charm. The house is surrounded by a garden of about 2.000 sq.m. with roses and a multitude of flowers and colours + additional 4 hectares land. You can spend unforgettable days with friends or relatives in the shade of the large trees including some fruit trees, cherry trees, sour cherries and olive trees. There is also a small vineyard and hazelnut trees. It is possible to build a swimming pool overlooking the hills and with an excellent privacy: relax is guaranteed. The area where the farmhouse is located is secluded and quiet, thus enjoying excellent privacy and a pure and intact view. You can easily reach the city of Jesi, known for the famous “Verdicchio dei castelli di Jesi” (white wine) but also for the culture and traditions that go along with it and the many medieval castles distributed throughout the Marches territory. The Frasassi Caves, the untouched beaches of the Conero area and Senigallia can be reached in about 45 minutes by car. Staffolo is a medieval village where, in some ways, time seems to have stopped when everything was natural and slow. The rhythms are still marked by the turning of the sun. However, social life and events to entertain citizens and tourists are often organized by privates as well as by local authorities. 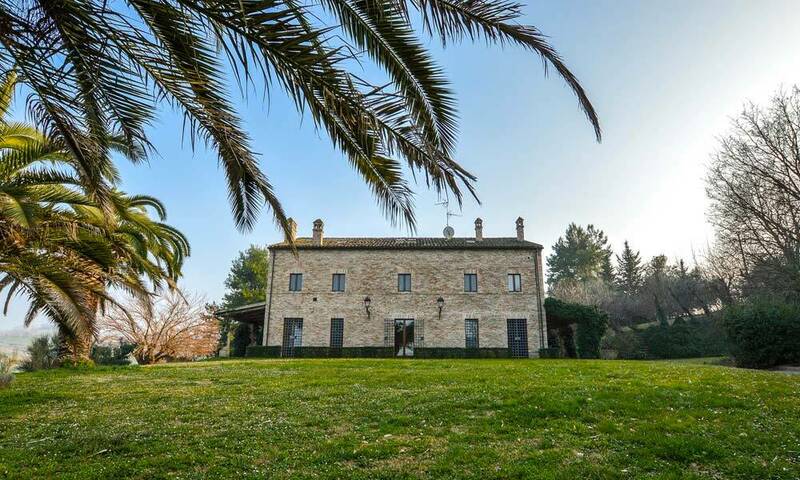 This is the context in which this marvelous country house is located, where life flows quietly and where you can choose to take refuge in the warmth of your home or jump into the lively local life or in the surrounding cities.